The major migration and asylum flows that began in mid-2015 and continued through the first quarter of 2016 have confronted Western policymakers and publics with an uncomfortable new reality: protracted and proliferating conflicts, heavy-handed authoritarianism, and massive economic disparities are driving large numbers of people to leave their countries. Nowhere has this reality been felt more starkly than in Europe, which, by accident of geography, is and will continue to be the destination of choice for refugees and migrants from Africa and the Middle East. European governments as a result are asked to reconcile the competing policy imperatives of controlling borders and managing entries while meeting protection obligations. The chaotic manner in which newcomers have entered and their sheer numbers, together with their religious and cultural composition, are fueling growing anxieties among many citizens (for more on immigration-related public anxiety, see Issue #6: Crises with Links to Immigration Result in Divergent Policy Responses on Either Side of the Atlantic). Meanwhile, other citizens have organized to welcome newcomers and demand their governments meet both the letter and spirit of their humanitarian obligations. As this process plays itself out across many of the world's wealthy democracies, a simple fact gets too easily lost: that the much poorer first-asylum countries that host the overwhelming majority of refugees around the world have long struggled to square the same circle. Politics in many high-income countries—from Australia and much of Europe to the United States—contribute mightily to the deep divisions that the migration issue (writ large) periodically inflames. The unexpected victory of U.S. presidential candidate Donald Trump, who built his campaign on hard-line immigration rhetoric, was seen in part as a backlash against a perceived unwillingness by the nation's political, cultural, and economic elites to support the enforcement of immigration law and stem certain forms of unwanted migration. The lessons of Trump’s success are not likely to be lost on Europe's mainstream political parties, while further energizing the continent's populist parties that derive most of their strength from opposition to migration, Brussels, and globalization (for more on the growth in nationalist movements in the West, see Issue #5: As Publics Fear Loss of National Identity, Far-Right Populist Movements Gain Strength). As displacement rises still further, with refugee numbers climbing to 21 million in 2015 and likely even higher in 2016, the need to find an effective response to both massive displacement and unmanaged migration has become increasingly urgent. In the search for answers, two truths have become apparent: First, preserving the capacity to accept more newcomers requires governments to not only make extensive investments in integrating those who have already arrived, but also to demonstrate the effectiveness of these efforts to nervous electorates. If publics perceive that recent arrivals are developing behaviors that lead to long-term dependence, are unwilling to play by the rules of receiving societies, or are becoming socially or culturally isolated, the willingness to take in additional refugees and migrants can fade rapidly. Second, maintaining the integrity of the migration system—in large part by returning those whose claims have been determined to be unfounded—is critical to safeguarding the protection space. The imperative for robust integration policies, particularly those that give refugees a chance to work without short-changing social integration, clearly caught the attention of European policymakers in 2016. The importance of integration policies is a lesson that major countries of first asylum, such as Jordan, Turkey, and Ethiopia, are also learning. For European governments, integration was the focus of extraordinary policy activism and innovation in 2016. Germany adopted an integration law allowing refugees and asylum seekers to enroll in vocational and job-training courses three months after filing their asylum application, and those in training are automatically granted legal residency, albeit on a temporary basis. Similarly in Sweden, a series of fast-track job and credentialing programs seek to quickly match refugees who have in-demand skills, such as teaching and nursing, with appropriate work opportunities. And Austria's 50 Action Points integration plan sets out long-term integration goals in areas ranging from employment and education to intercultural dialogue, and lays down a cross-government strategy for achieving them. Yet immigrant integration is an area where European countries have long struggled, despite massive investments. Refugee employment rates are particularly troubling. A mere 13 percent of refugees in Germany who arrived between 2013 and 2016 were employed, according to preliminary government data. In addition to obstacles common to all immigrants, such as difficulty learning the language or getting employers to recognize foreign qualifications, refugees often face additional difficulties such as trauma, an inability to produce documentation of education or experience, and the instability that comes with uncertain legal status. Past experience thus suggests that the road to successful integration for the newest arrivals will not be easy. Indeed, if integration efforts are to succeed, extensive investments of political, financial, and intellectual capital—and dedicated and prolonged attention from policymakers—will be needed for the foreseeable future. In first-asylum countries, an appreciation of the importance of integration and self-reliance has similarly begun to sink in, and 2016 saw important policy changes in a number of key countries to this end. Jordan, Turkey, and Ethiopia—among the top ten refugee-hosting countries—each introduced measures in 2016 to grant at least some refugees the right to work. International agencies have also begun to adjust their priorities. The UN High Commissioner for Refugees and World Food Program launched programs to keep refugees out of camps and provide them with cash, rather than in-kind assistance, allowing them the flexibility to pay for goods and services, such as school supplies or transportation, that facilitate self-sufficiency. Cash assistance also benefits local economies more directly and visibly than the goods and services procured by large assistance agencies. Policymakers everywhere have become increasingly aware of the need to pair protection and integration with investments in the capacity to manage flows, a crucial part of upholding trust in the migration system. In Europe, governments have turned their attention to returns, partly in an effort to deter unauthorized entries and unfounded claims. Returning individuals whose asylum claims have been denied or who are present illegally has long been the Achilles heel of European governments. In 2015, the number of people returned from EU countries was 40 percent lower than the number of return orders issued, suggesting that large shares of those without permission to stay do not in fact return. In Germany, a recent parliamentary inquiry showed that more than 500,000 persons with rejected asylum applications remained in the country as of June 2016 (although most had some form of legal or tolerated status). However, the connection between sustained returns and the integrity of the protection system is slowly being recognized, and is becoming a political priority. Over the past two years, European countries have made substantial efforts to increase returns. Most notably, the European Union reached a deal with Turkey in March 2016 which allows the return of unauthorized migrants and asylum seekers from Greece to Turkey, among other provisions (though this part of the agreement has not been implemented at scale to date because of reluctance among Greek authorities to do so). EU Member States have also been actively negotiating, with roughly similar aims, in other regions as well. In 2015 Germany designated Kosovo, Albania, and Montenegro as "safe countries of origin," allowing expedited processing of claims from these countries and enabling authorities to double the number of returns. Sweden, Germany, Finland, and the European Union in 2016 all signed readmission agreements with Afghanistan intended to facilitate the return of large numbers of Afghan nationals. (Afghanistan was one of the largest countries of origin for asylum applicants in the European Union in 2016.) A new terminal is reportedly in the works at the Kabul airport in order to accommodate the large numbers of migrants expected to be sent back. The Afghanistan agreements—and similar ones being negotiated with Nigeria, Jordan, and Tunisia and recently concluded with Mali—mark a pronounced shift in approach as migration has worked its way up to the highest levels of national and EU foreign policy agendas. As a result of the pressures to manage migration much more effectively, EU governments are increasingly willing to invest very large sums of money in countries of origin, and make policy concessions such as visa agreements or trade incentives, to achieve their aims. Many of these agreements also include substantial investments to improve migration and border management systems in origin and transit countries. In North America, U.S. policymakers have responded to flows of families and unaccompanied minors from the Northern Triangle of Central America (El Salvador, Guatemala, and Honduras)—which reached 147,000 in fiscal year 2016—by enlisting Mexico's assistance in disrupting flows and making investments in Central America in citizen security, education, better governance, broader economic development, and the in-country processing of asylum claims by vulnerable populations in the region. Similar to European migration partnerships, investments under this initiative—named the Alliance for Prosperity—are intended to reduce unmanaged migration flows before they reach the U.S. border. A number of European countries have adopted other policies to deter new arrivals. While media attention focused on border closures between several EU countries and efforts in places like Hungary to build border walls, other, more subtle changes have also been underway. In Sweden and Germany, expansive investments in integration have been accompanied by new restrictions on rights and benefits for asylum applicants and refugees, such as social assistance, family reunification, and legal residency length. The Danish government went so far as to pass a law allowing authorities to confiscate money and possessions over a certain value from asylum seekers. These initiatives attempts to reduce the "pull" that generous social assistance provisions exert on would-be asylum seekers while demonstrating to anxious publics that the state retains the authority to make—and is willing to enforce—its own rules on these issues. In many countries, simultaneous investments in better protection and integration, on the one hand, and border and postentry controls and effective returns, on the other, have created a new policy palette that has unnerved advocacy groups and many social service providers—who fear that policies such as restrictions on family reunification or limitations on where refugees can live will make it more difficult for refugees to integrate. 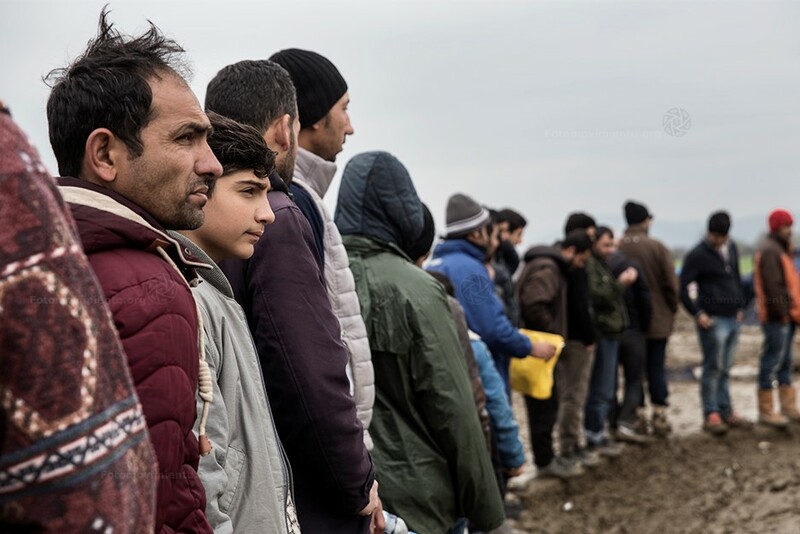 A much more widespread concern is that greater efforts at migration control in Europe, the United States, and elsewhere may encourage reduced generosity in countries of first asylum. In May 2016, the Kenyan government cited the fact that "in Europe, rich, prosperous, and democratic countries are turning away refugees" as one justification for its planned closure of Dadaab, the world’s largest refugee camp. And the flurry of EU readmission agreements with Afghanistan has been accompanied by a push by neighboring Pakistan and Iran to repatriate Afghan refugees within their borders, leading international agencies to warn of a looming humanitarian crisis. Nearly 1 million Afghan refugees were returned in 2016 by Pakistan and Iran. Subsequent announcements by both Kenya and Pakistan that they had extended the deadlines for refugees’ departure following assurances of more aid or other concessions from international donors underline both the complexity and political calculus behind these decisions. When the history of 2016 is written, it will be remembered as a year of continuing turmoil and policy experiments reflecting, among other things, seemingly irreconcilable tensions between competing policy priorities. The outcome of the U.S. presidential election may complicate matters even further. For destination and host countries worldwide, balancing the imperatives of protection, integration, and control will remain both a top priority and a constant challenge. Policymakers will need to recognize that the continued presence of drivers such as acute poverty and conflict means that the migration and refugee crisis will not be over soon. Going forward, there is only one option: to continue and scale up the investments and policy innovation across the migration continuum—in border enforcement, returns, and integration—that marked the more positive side of 2016. If not, 2017 will only bring more disorder and political pain. Chazan, Guy. 2015. Germany Cracks Down on Balkan Migrants as It Welcomes Syrians. Financial Times, December 23, 2015. Available online. Crouch, David. 2015. Sweden Slams Shut Its Open-Door Policy Towards Refugees. The Guardian, November 24, 2015. Available online. Desiderio, Maria Vincenza. 2016. Integrating Refugees into Host-Country Labor Markets: Challenges and Policy Options. Washington, DC: Migration Policy Institute. Available online. Deutscher Bundestag. 2016. Antword der Bundestregierung auf die Kleine Anfrage der Abgeordneten Ulla Jelpke, Sevim Dagdelen, Frank Tempel, weiter Abgeordneter und er Fraktion DIE LINKE. –Drucksache 18/9302—Zahlen in der Bundesrepublik Deutschladn lebender Flüchtlinge zum Stand. June 30, 2016. Available online. European Commission. 2016. First Progress Report on the Partnership Framework with Third Countries Under the European Agenda on Migration. Brussels: European Commission. Available online. European Union and Government of Afghanistan. 2016. Joint Way Forward on Migration Issues between Afghanistan and the EU. Government statement, October 2, 2016. Available online. Government of Sweden. 2016. Agreement between Sweden and Afghanistan on Readmission. News release, October 26, 2016. Available online. Jordan Ministry of Planning and International Cooperation. 2016. The Jordan Compact: A New Holistic Approach between the Hashemite Kingdom of Jordan and the International Community to Deal with the Syrian Refugee Crisis. Press release, February 7, 2016. Available online. Kenya Ministry of Interior. 2016. Government Statement and Update on the Repatriation of Refugees and the Scheduled Closure of Dadaab Refugee Camp. Press release, May 11, 2016. Available online. Knight, Ben. 2016. Merkel Presents New Refugee Integration Law as 'Milestone'. Deutsche Welle, May 25, 2016. Available online. Martin, Michelle. 2016. Only 13 Percent of Refugees in Germany Find Work. Reuters, November 15, 2016. Available online. Noack, Rick. 2016. Denmark Passes Controversial Bill to Seize Assets and Valuables from Refugees. Washington Post, January 26, 2016. Available online. Papademetriou, Demetrios G. and Susan Fratzke. 2016. Global Refugee Summits Offer Reasons for Both Disappointment and Hope. Commentary, Migration Policy Institute, September 2016. Available online. Traub, James. 2016. The Death of the Most Generous Nation on Earth. Foreign Policy, February 10, 2016. Available online.